MINI, SPOT SOMETHING DIFFERENT! This 2015 Mini Cooper S- Paceman is sweet! With an All-Wheel Drive system, Premium Package, Sun-Roof, Leather Seats, Power Locks, Power Windows, Power Mirrors, all powered by a Sporty, Yet fuel efficient 4cyl-Turbo!! TEXT: 850-367-7430 OR CALL: 850-934-5000. 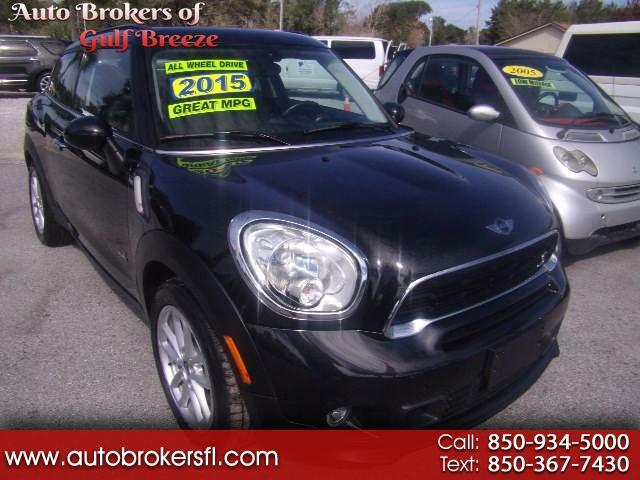 Message: Thought you might be interested in this 2015 MINI Paceman.